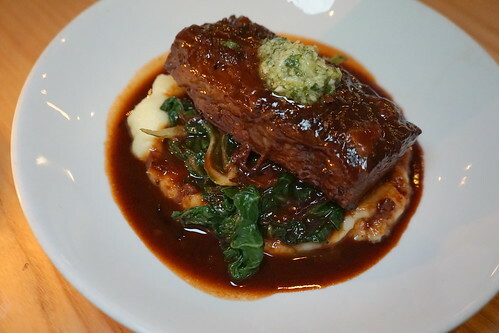 For the main course, there's Burgundy braised short rib with potato puree, swiss chard, and horseradish gremolata. Short ribs make it on a lot of restaurant week menu, honestly, but Chef Winston Wingfield made this dish a hit for us. The short rib was very tender and together with the potato and the burgundy sauce, it was a dish that you'd crave in the winter. 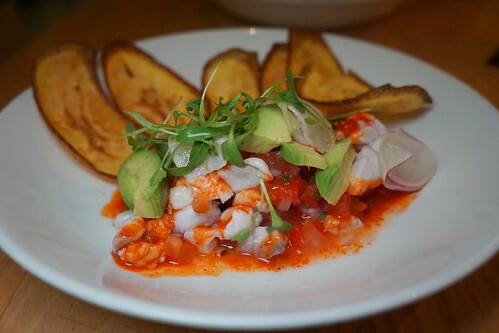 Also, unlike some restaurants, Commerson's DineLA menu actually consists of dishes that are on the regular menu, so you're getting the real restaurant experience and can easily see how much you're saving for restaurant week. 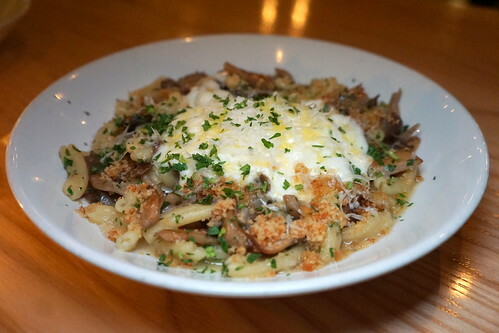 Housemade campanelle, wild mushrooms, herbs, burrata, shallots, bread crumbs. 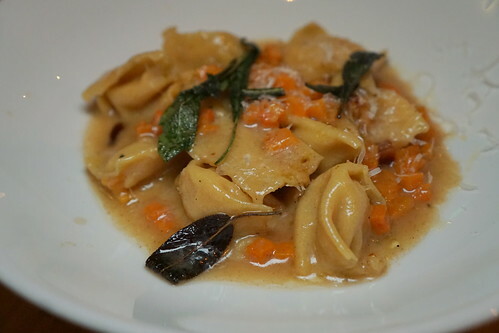 This entree option isn't as photogenic, but you can't go wrong with homemade campanelle and wild mushrooms, really. There are also pork chop and seared scallops on the dineLA menu, which I almost ordered. 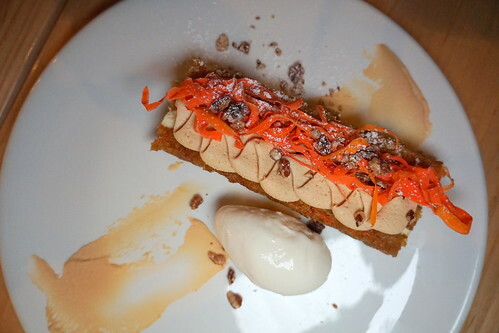 Carrot cake with ginger creme fraiche bavareis, caramelized white chocolate, whipped cream, cream cheese ice cream. I love the plating of this dessert. 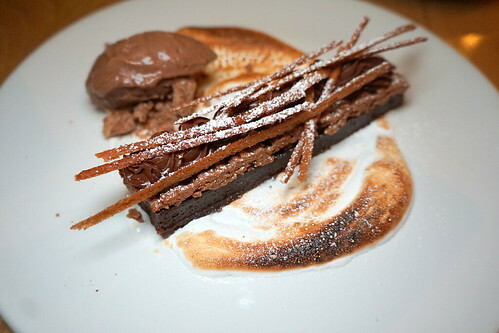 S'more (warm Valrhona brownie, chocolate custard, vanilla marshmallow, chocolate ice cream). I'm a chocolate lover, so I preferred this dessert. It was hard to stop eating that brownie! Commerson's cocktails are also worth ordering, with a menu designed by Dushan Zaric (from Employees Only). 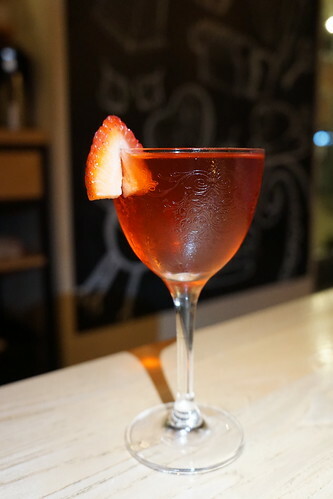 I ordered the Negroni variation with strawberry-infused Campari. You still have a couple of days to get your Restaurant Week outing in - until Friday Jan 25! Even if you miss DineLA, Commerson is worth checking out, especially if you're in the mid-city area. Chef Wingfield worked at Bouchon in Beverly Hills, Red Medicine, and Animal before and he's bringing in his experience to do Commerson. Pro-tip: Commerson validates for 2 hour parking in the garage (the Wilshire La Brea building).